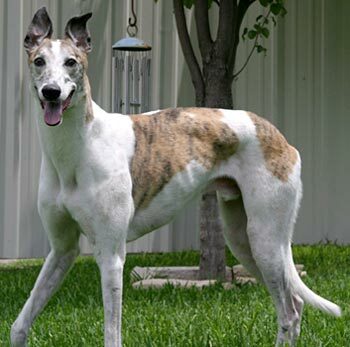 Dapper, aka Kansas Dapper, is a good-looking, 6½-year-old, white and brindle male, born October 9, 2002. 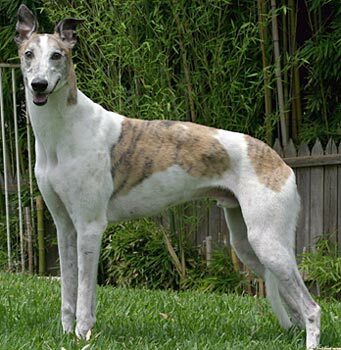 His sire is State of the Art, making his grand-sire Greys Statesman, and his dam is Kansas Calypso, making Clown his half brother. 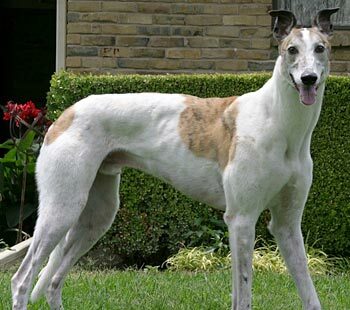 Dapper came from Valley Race Park in Harlingen within 3 weeks of the 2005-06 season opening. His last race shows to be in Dubuque, Iowa, on October 29, 2005. 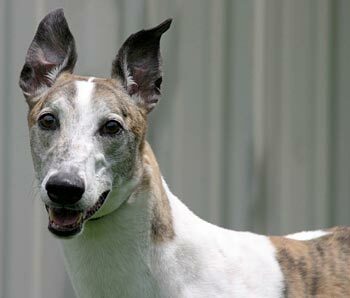 Dapper was adopted and in a home for 3½ years with another greyhound. However, the family situation changed, and Dapper is now looking for his forever home through no fault of his own. Dapper is small animal and cat tolerant.